Happy holidays and garden partying everyone! Well here is yet another sort of tray to try (see past ones here and here)... and this time, it's for cocktails. 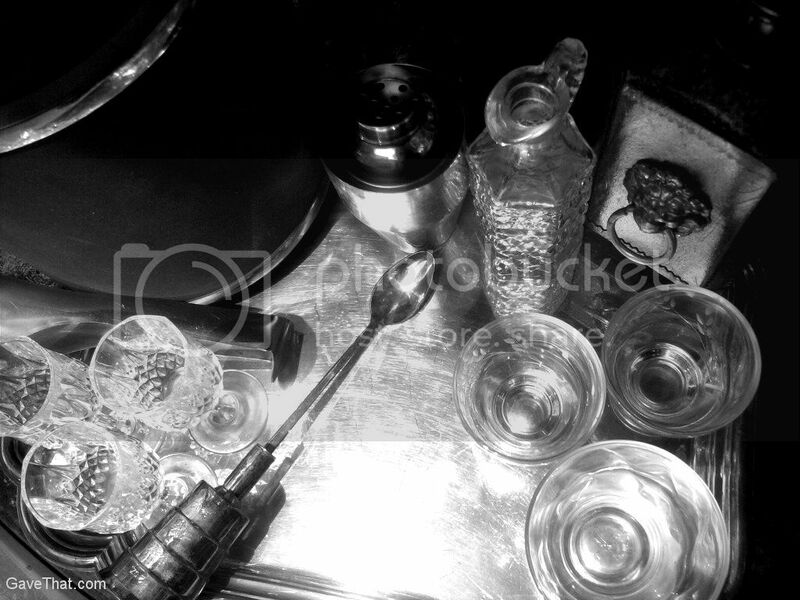 Of course everything will depend on what sort of cocktails are going to be served to guests and it's really nice how a tray somewhat limits things and takes the guess work out of what to concoct up. 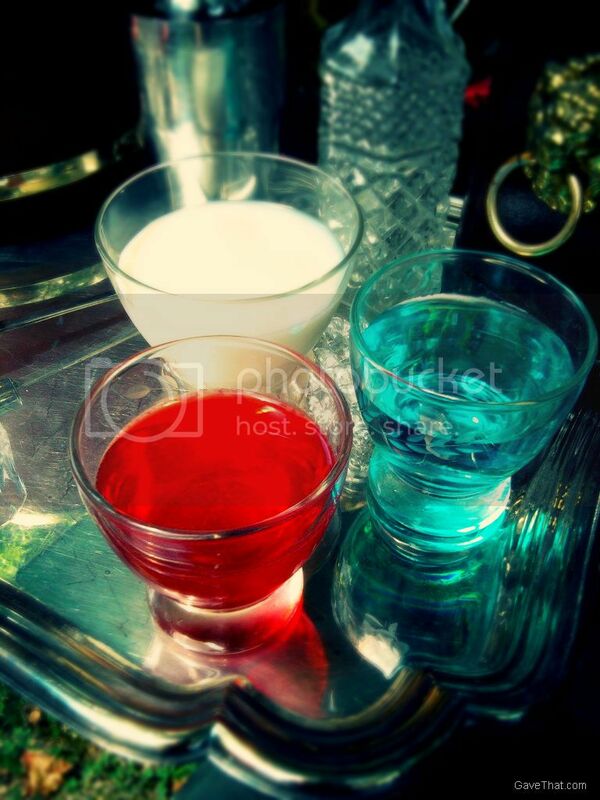 Here there are Cosmo's (red), Brandy Alexander's (white), and Blue Shark's (blue). 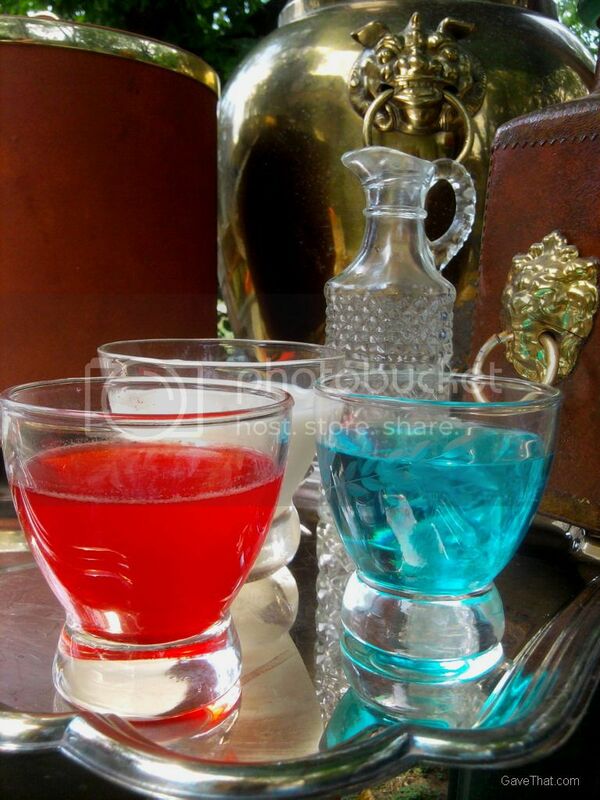 Each only take 2 or 3 bottles to serve a finished drink which makes them very tray worthy. On this cocktail tray there is an ice bucket and tongs. A small pitcher of water and the bottles needed to mix the cocktails being offered. A cocktail shaker and a really neat gift someone gave, a jigger and spoon attached to one another. This saves a lot of space and is just plain ingenious. All of these things should be pushed to the back of the tray and I try to leave an empty space, as large as possible, in the center for guests to mix their drinks. 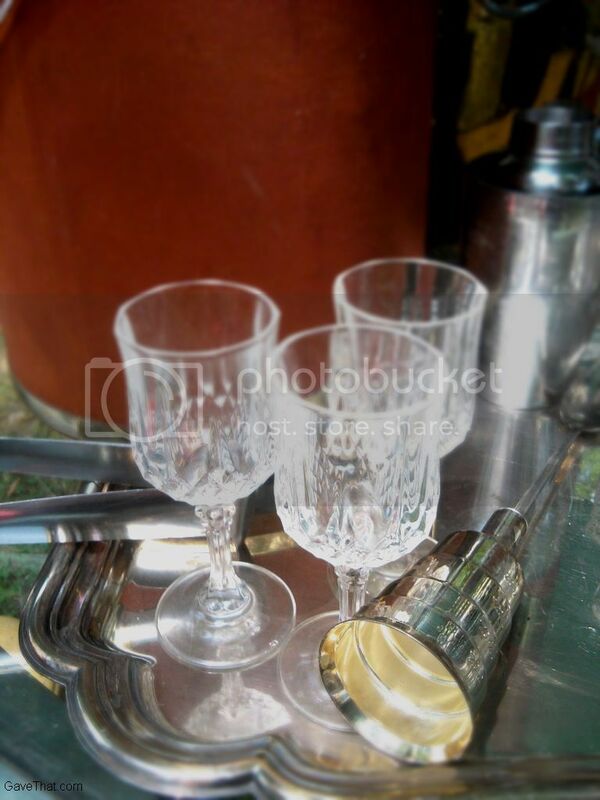 On the sides empty glasses can be refreshed as guests create their drinks and use them up. Love how aperitifs are making a comeback! And to help guests know know which is which see my past DIY and vintage decanter tags project here.